Check out this brief orientation video to learn more! To support teachers with strategy implementation and effective integration with existing curriculum, targeted observations and coaching and/or phone and email consultations are included. This additional support will establish a coherent, continuous experience that allows teachers to successfully engage students and increase achievement. Teachers can choose to be virtually observed delivering a lesson via video upload; a detailed rubric will be provided with feedback and suggestions for next steps. Email and phone support is available as needed to ask and answer questions, problem-solve and collaborate. By combining the product development, manufacturing, merchandising and distribution expertise of Really Good Stuff and Astute Hoot’s classroom-tested, research-based work, a superb line of hands-on products has emerged. These tools help teachers differentiate for all learners and best of all, students love them! Astute Hoot helps teachers efficiently integrate multiple strategies and effectively differentiate for all learners through an interconnected wrap-around support system of digital resources, hands-on tools and virtual implementation support. 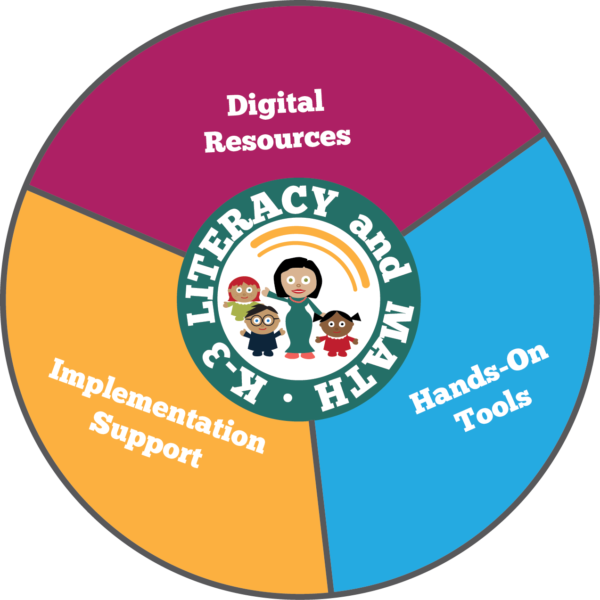 This holistic approach has a significant impact on supporting teacher development and student achievement as it addresses the various factors that contribute to positively advancing early literacy and math instruction. Using these resources and tools, the most reluctant students blossom into motivated, enthusiastic learners; make solid connections to the strategies, and most importantly, become proficient readers and mathematicians. These innovative tools awaken the joy of learning and spark enthusiasm in all students while providing research-based resources aligned to K-3 Common Core Standards. School Wide License: Email or call for a customized quote. Virtual and in-person workshops are also available. School and district site licenses offer a cost-effective option to provide teachers with practical strategies, tangible resources, opportunities for collaboration and ongoing support. Research shows that the use of consistent, strategy instruction across grade levels dramatically increase student outcomes. Jessica Murphy, is an experienced primary grade teacher with an M.A. in Educational Leadership from Northern Arizona University and B.A. in Early Childhood Education from Arizona State University. Through her extensive experience with differentiation and data-driven instruction, she has created a school-wide collaborative reading intervention model and manual. Jessica currently works as a second grade teacher. She also serves as Team Leader, Teacher Assistance Team Coordinator and Mentor. Jessica continually supports teachers to tailor instruction for individual student needs. Jessica also creates and presents several professional development sessions, including seminars at Staff Development for Educators (SDE) National Conference on Differentiated Instruction and International Literacy Association Conference. Jennifer Zoglman is a certified teacher in the areas of elementary and special education with a M.S. in Educational Leadership from Roosevelt University and B.A. in Special Education from Elmhurst College. As a special educator since 1998, she has worked extensively with children with various learning abilities. She is trained in several research-based literacy programs such as Wilson and Lindamood-Bell, holds a reading endorsement, and is an expert in differentiation. Jennifer currently works as a Special Education Coordinator for various charter schools. She also has served as an Effectiveness Coach and Seminar Instructor for districts across Arizona as she shared her educational expertise to evaluate, coach and train first year teachers. She has designed and facilitated teaching certification seminar sessions for in-person and virtual training. Jennifer is committed to building a strong professional learning community that advocates for children and promotes teacher effectiveness.